This week one video from a Tower Crane with Luffing Boom, by Mike Hatton (Parax). This is a crane with very generous dimensions and noticeable structure rigidity (see how easily, it lifts an '8294, Excavator'). It is always good to have a face to put on a name, Mike. You can find more images from this crane, at Mike's BS folder. For a detailed description about the design process and how the required stiffness ws accomplished for the studless lattice, read Mike's Tower Crane presentation at LUGNET. That's a great (and big) creation! I just expected it changed the distance from the load to the tower by way of a sliding "cart", like the 7905 Building Crane, but this method is nice too. I'm also amazed at its strength for the size; kudos for that, Parax! @ Anonymous: In my opinion, counting the sheer number of parts in a model is a very wrong way of judging it: a model with 100 pins or another with 100 bricks 1x16 don't have the same size, weight, complexity, cost or value! Why do you assume I am judging it? The description states a number of dimensions for it, including lifting weight, etc. I am simpl7y curious about the number of pieces, as I am sure others are as well. I also use to be curious about partcount. Just curious. I'll upload some LDD files here if you wan't to know more..
@Alexandre This is a Luffing Tower Crane, not a flat-top, both have advantages and disadvantages, the Luffing type are becoming more popular for built up areas. 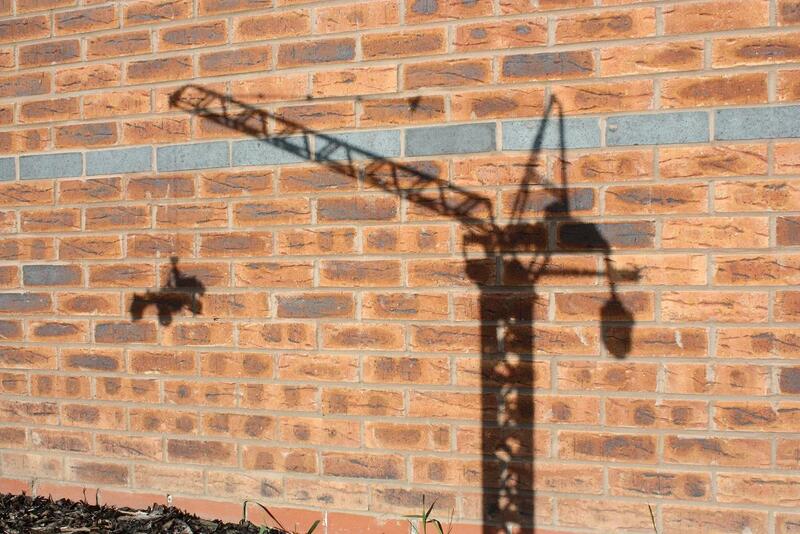 Actually When I started building this crane I was thinking of making a flat-top, and the boom will work for either! see the linked lugnet post. But to my knowledge there are no moving counterweight flat-tops, and when I found this design with the swing-arm counterweight I knew that was what I had to build! 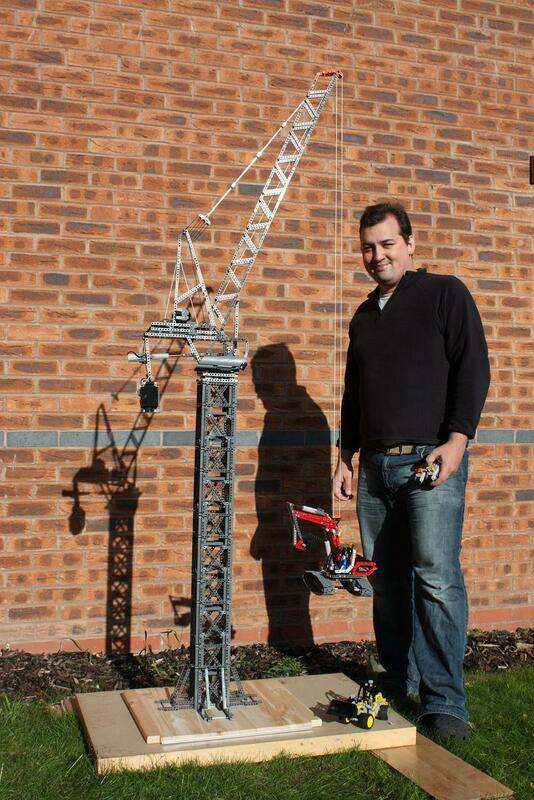 "When I first saw this crane in the LUGnet news I, of course, immediately thought “what’s Meccano doing on a Lego site?”"